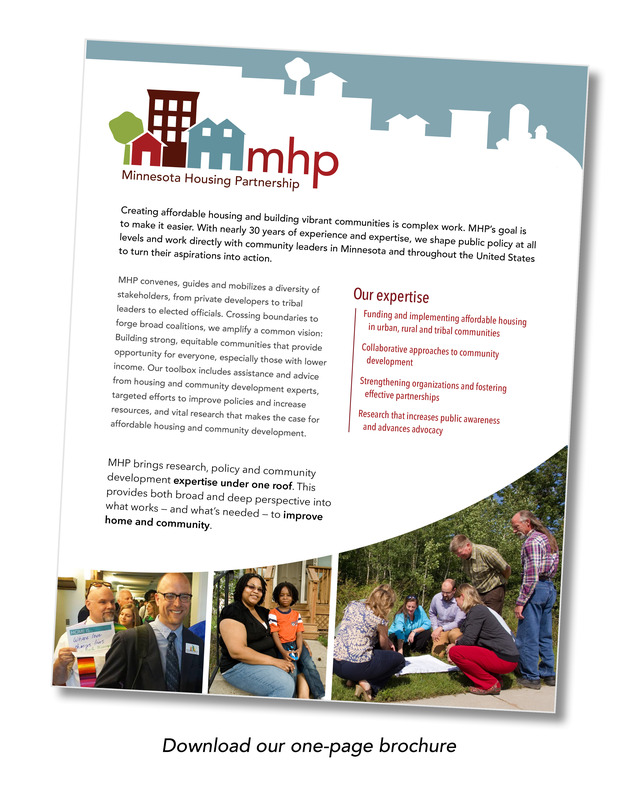 Minnesota Housing Partnership (MHP) strengthens development capacity and promotes systems change to expand opportunity, especially for those with the greatest need. We support, lead, and collaborate with a diversity of partners to stimulate innovation and drive positive impact in affordable housing and community development in Minnesota and beyond. 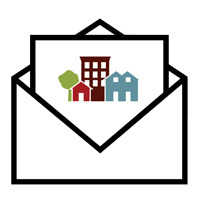 Strengthen the ability of organizations to build and preserve housing and community assets. Learn more. Provide original research and education resources to generate public support of vital communities and affordable housing. Learn more. Drive efforts to secure the policies and funding needed at the regional, state, and federal levels to advance local housing and community development. Learn more. Communities are strong and have affordable housing to meet their needs. MHP began in 1987, as an informal coalition organizing community groups and nonprofit developers to play an active role in affordable housing. The catalyst for this effort was the governor of Minnesota’s decision to establish a commission to help guide the state’s role in housing for the decade of the 1990s. The initial work of MHP focused on informing housing groups of policy and program developments occurring at the state and federal levels. MHP also was a catalyst for increased state funding targeted to addressing the housing needs of low-income people. In addition, MHP helped create the state’s first programs to build the capacity of nonprofit housing providers. In 1989 MHP incorporated as a member based, nonprofit organization. The MHP board of directors was structured to provide a balance between affordable housing interests in Greater Minnesota and the Twin Cities. In 1994 MHP became a major provider of technical assistance and financial support to increase the capacity of housing development groups. MHP administers a predevelopment loan program and provides training and operating grants to nonprofit developers. Department of Human Services. MHP administers a Crisis Housing Fund that pays housing costs for those receiving treatment for mental illness. U.S. Department of Housing and Urban Development (HUD) and the U.S. Department of Agriculture. MHP delivers project-based and organizational technical assistance (TA), including as a national TA-provider for HUD's Neighborhood Stabilization Program, OneCPD model, and Rural Capacity Building Program. Over the years, MHP has developed an effective lobbying arm and advocacy network. MHP has earned the respect of affordable housing supporters throughout the state, as well as government and legislative leaders. Today MHP continues to support housing for all Minnesotans through capacity building, advocacy, and loans and grants.